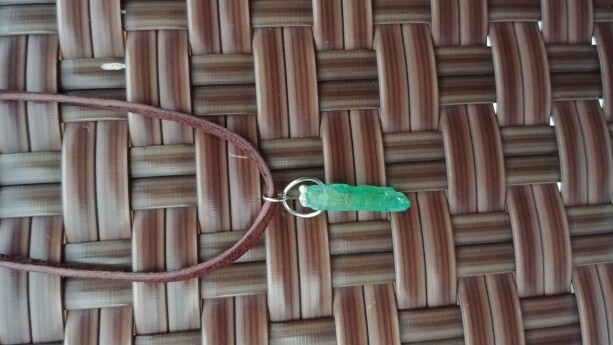 Green Aura Quartz Pendant on Suede Cord. Pendant is approximately 1.25" tall and 3/8" wide at widest point. Dark brown suede cord is 20" long with lobster clasp closure. All metal findings are nickel free.